Treat your dastardly duo to this perfect pack of embroidered fleece robes, ideal for throwing on over PJs for fun breakfast mornings. Brothers look absolutely adorable in our matching blue fleece robes, available from newborns up to 5 years old. They’re soft and snuggly, with two large pockets and a fluffy hood with ears on top. 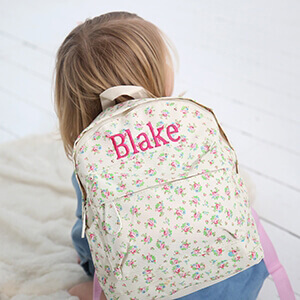 Each are embroidered on the back with ‘Little Brother’ and ‘Big Brother’ – just choose the sizes and text colours you’d like and leave the rest to us.